2 HOW CAN I IDENTIFY WETHER A CABLE COMPLIES (OR NOT) WITH THE CPR? 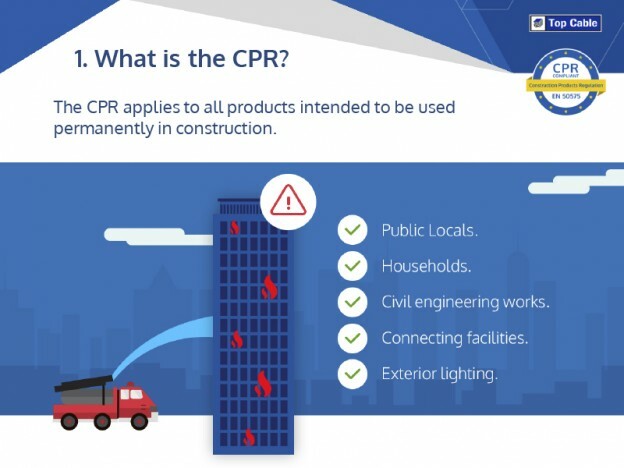 The implementation of the European CPR obliges manufacturers, distributors, project managers and installers in the European Union to manufacture, distribute, prescribe and install cables that comply with the harmonized standard EN 50575. HOW CAN I IDENTIFY WETHER A CABLE COMPLIES (OR NOT) WITH THE CPR? To comply with all relevant directives, it is a legal requirement to include the CE mark, together with the identification number of the certification body of the electrical cable. 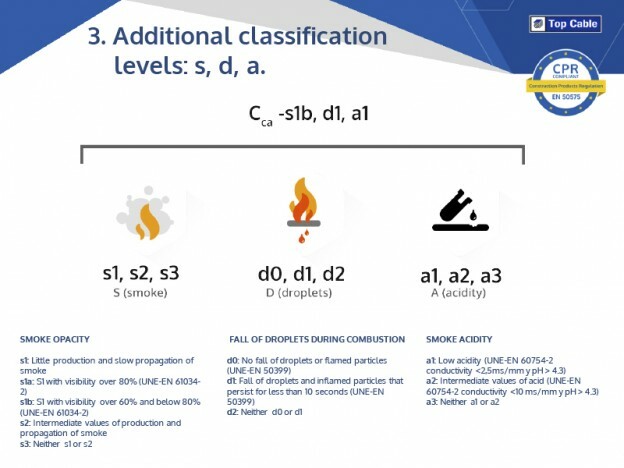 The information on the product cover must include: details of manufacturer, identification of cable, its recommended uses and its reaction to fire in accordance with the new regulation. 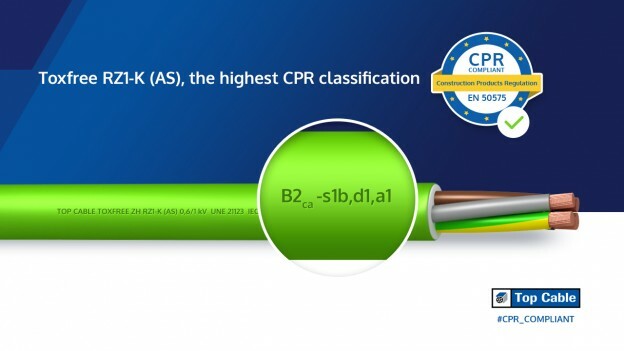 Top Cable has also created a distinctive CPR stamp to help the customer check that the cable complies with European certification. And finally, we have included a QR code on the cover to access the DoP of the selected electrical cable. 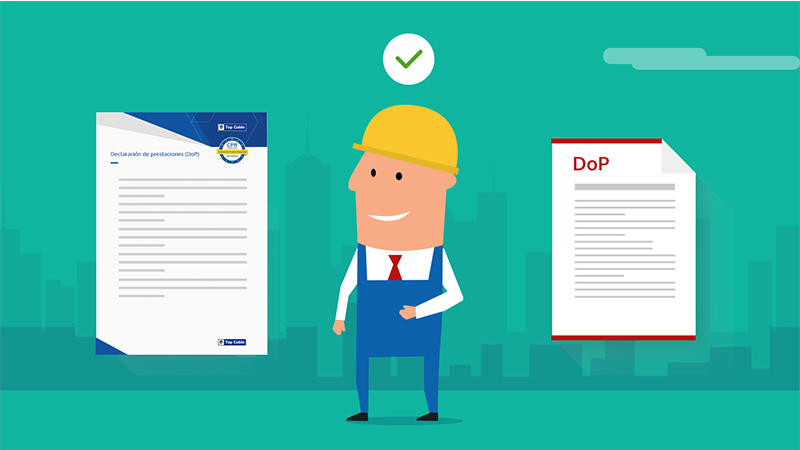 The Declaration of Performance (DoP) is a document that must be made available on the manufacturer’s website and should include the following: manufacturer, identification of cable, evaluation system used, relevant regulation, certifying body and the product’s CPR performance. Ask your usual manufacturer for the Declaration of Performance for all electrical cables that are to be permanently included in construction. 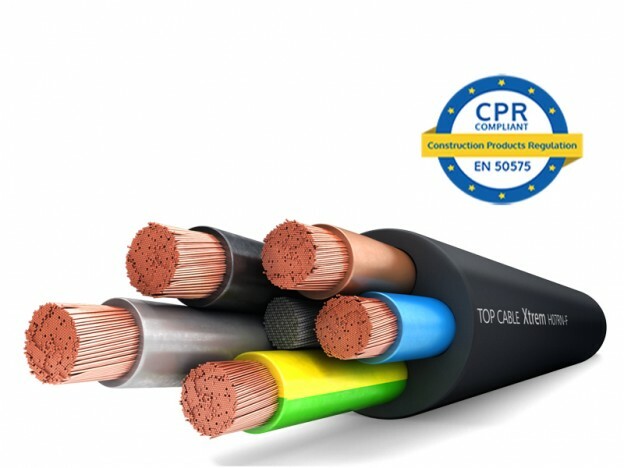 Top Cable, in compliance with the safety requirements expected of it, already identifies its cables in accordance with the new European CPR. 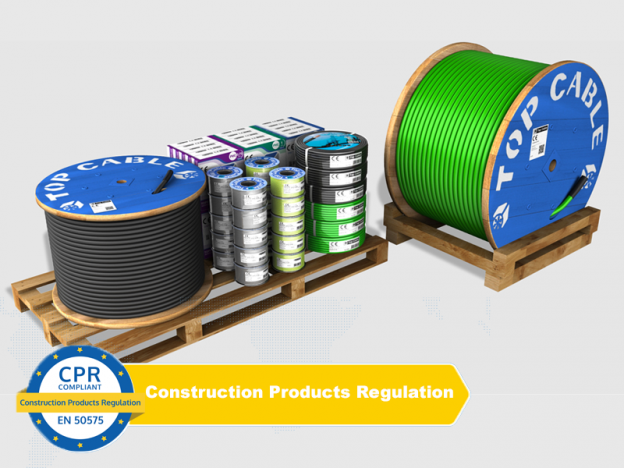 When you choose Top Cable products, you are guaranteed that you are acquiring cables that fully comply with the requirements laid down in the new CPR.